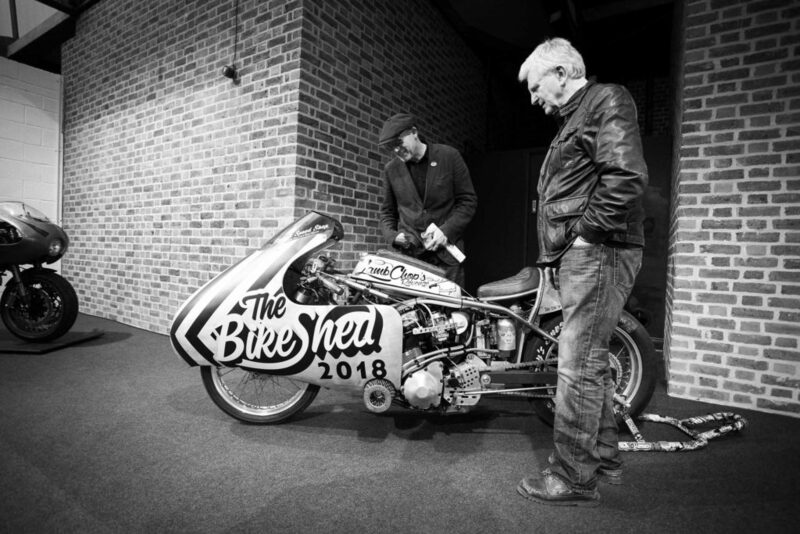 The Bike Shed Show is now in its sixth year, and began small, at what is now the HQ of the club, bar and restaurant known as ‘The Bike Shed Motorcycle Club’, in the heart of London’s East End. To some, the place, and its vaguely hipster ambiance – at least on the surface – can seem a little arriviste. 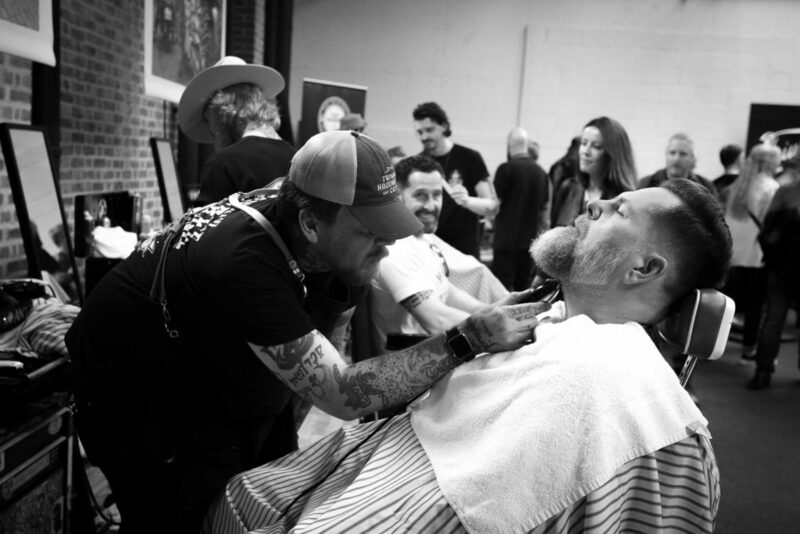 It’s a “long way from being a shed,” they say: “It’s a business.” Well, of course it is. But it might just be a welcome business. And as one of many who has been turned away from pubs after arriving on a bike over the years, what’s wrong with a place where bikes are not just welcomed, but are the aim of the place? 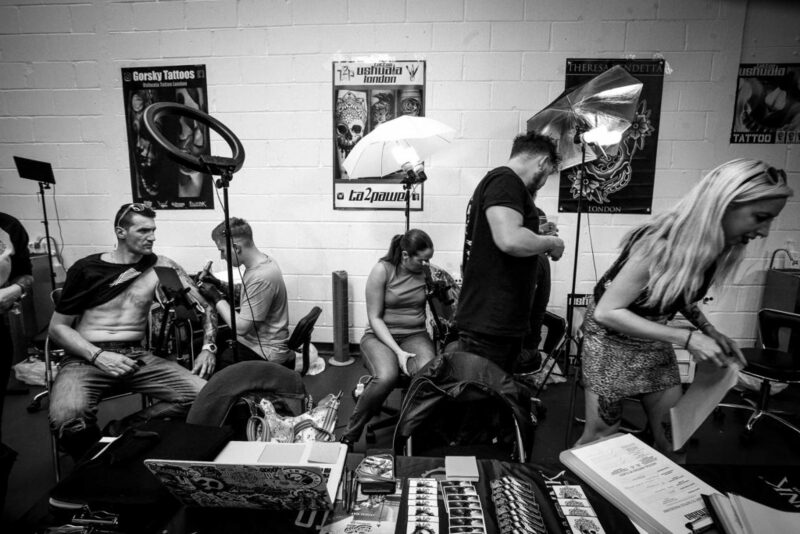 Its founders, Dutch and Vikki, have also been unstinting in helping organising protests against what appears to be a London Mayor who treats motorcycles with disdain, to put it mildly. 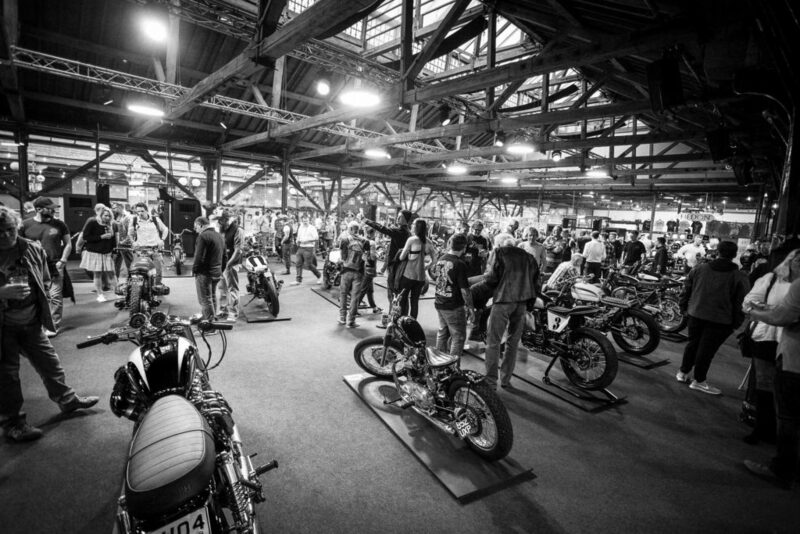 Their Bike Shed Show, with around 12,000 visitors, is now the biggest motorcycle event central London has seen for some time. 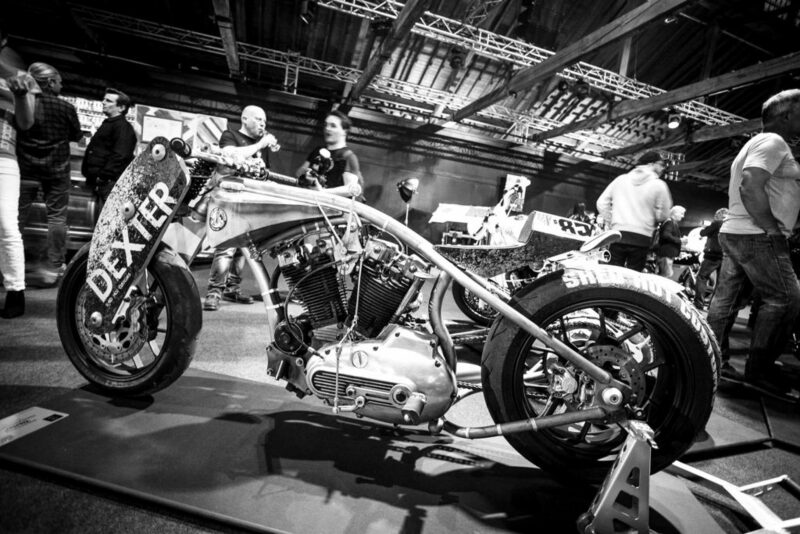 This year, 240 builds were on display, alongside major brands such as Triumph, Belstaff, Davida and Ohlins. A lot to take in. 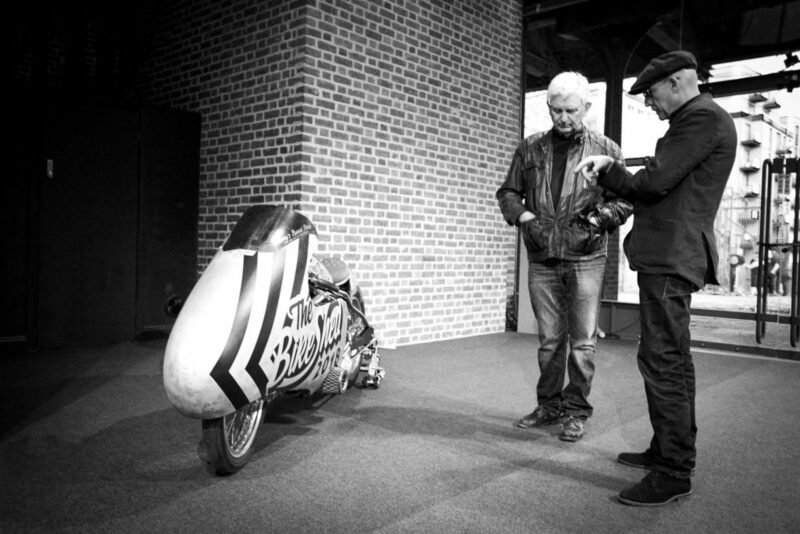 One man who was there to do just that, and has seen the custom scene re-invent itself several times over, was Mark Williams, founder of BIKE magazine back in 1971. 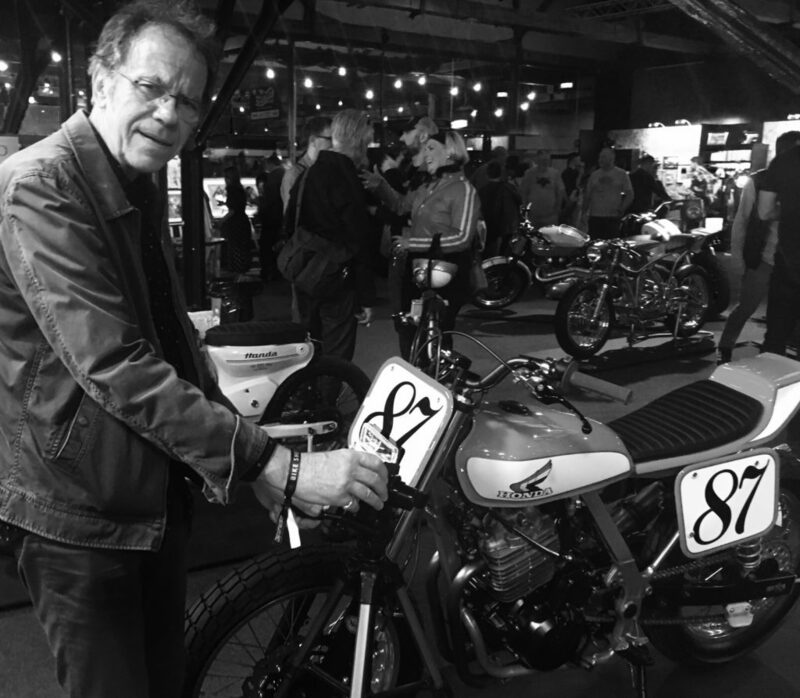 Now publisher of the very fine Classic Motoring Review, Mark is also still chronicling the two-wheeled world in his day job as custom editor of BIKE. 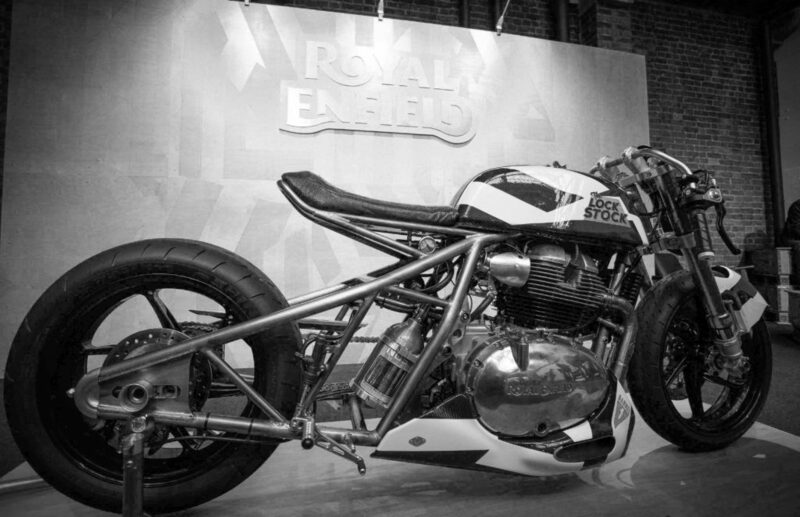 How does Mark think today’s custom builds compare with the first flush of yard-built bikes back in the early and mid-70s? 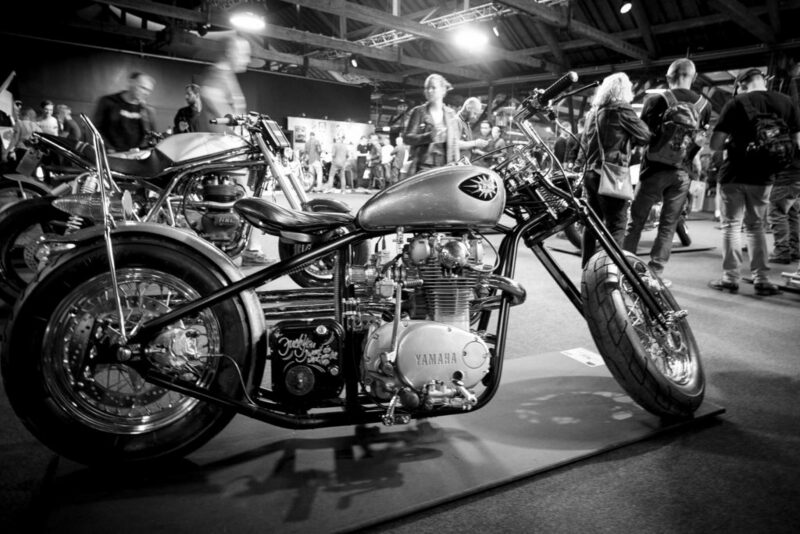 “There were only a few serious and capable chopper builders in the UK back then,” he tells me. “But a lot of opportunists were cashing in. The point, of course, was to pose and pull chicks, which I gather they sometimes did.” This was an age, don’t forget, when BIKE’s first issue – in a kind of manifesto, breaking with the old school – announced that the UK could build customs as cool as those from the West Coast of America. 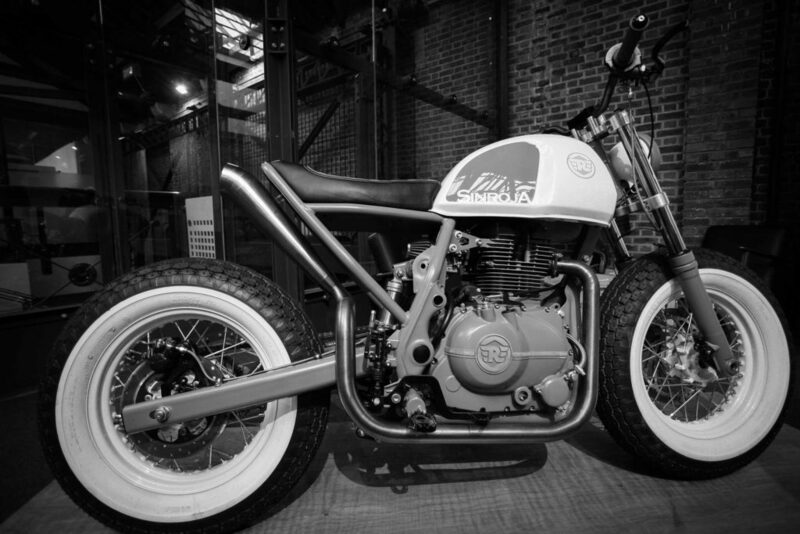 It proclaimed ‘Any country that turns out Lotus 7’s & Diana Dors can turn out class choppers’. 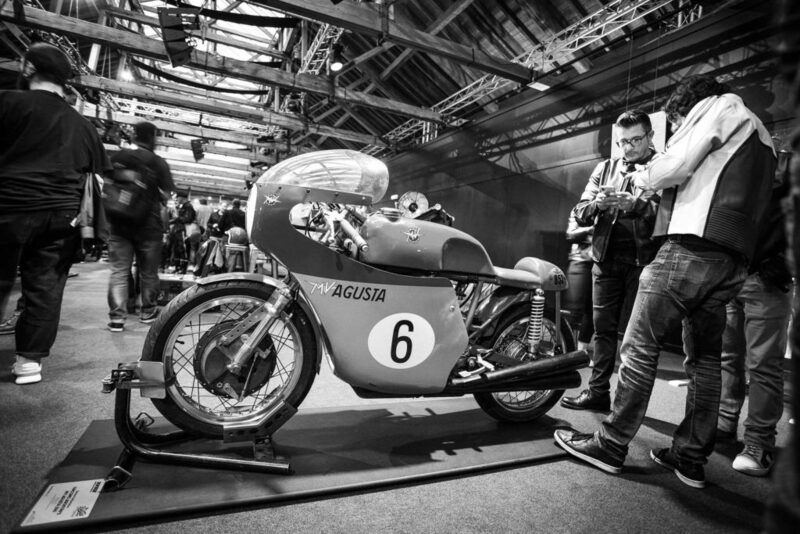 The biggest difference is that nearly all motorcycling now is a leisure or sporting pursuit. 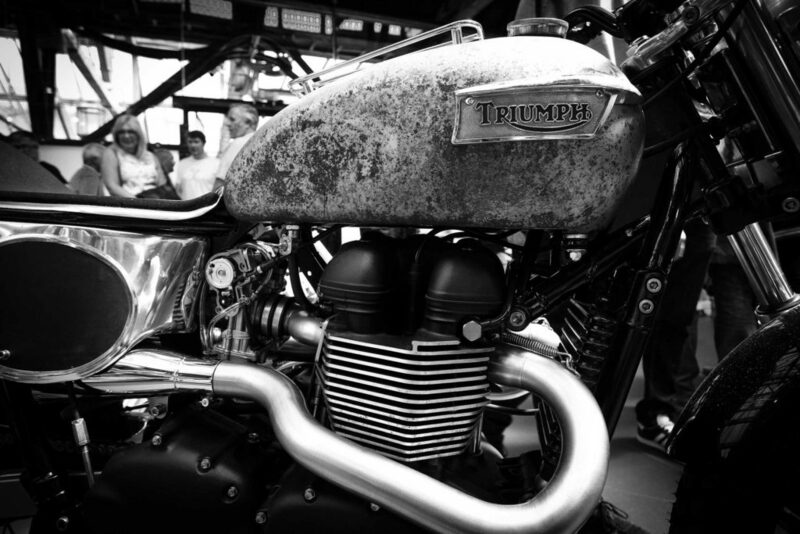 “Back then, there was still a reasonably healthy market of those buying bikes simply to get to work on. Today, as a recreation, the choice is wide open and contemporary customs add yet further layers. Plus a major factor is the performance and design dead-ends the major factories found themselves in during the 1980s, and 1990s,” he says. 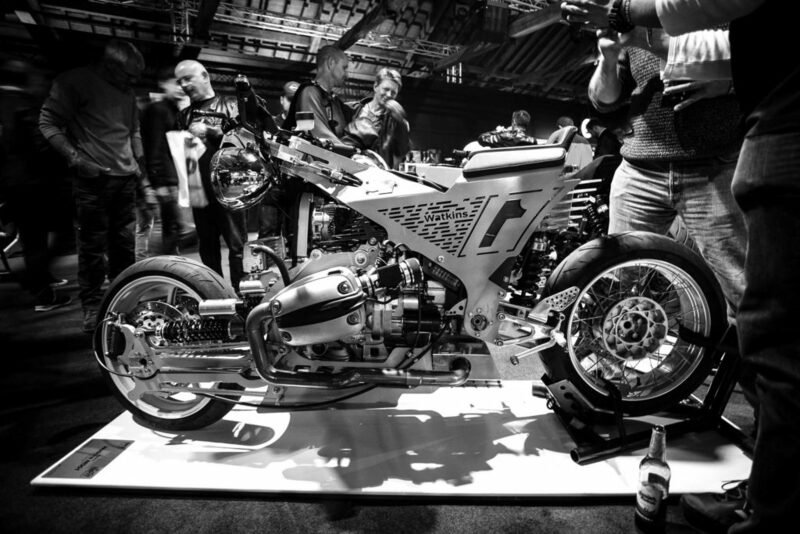 But, a motorbike built by a team of two, in a yard, is still a motorbike – just like the one built by a team of hundreds in Japan or Germany. 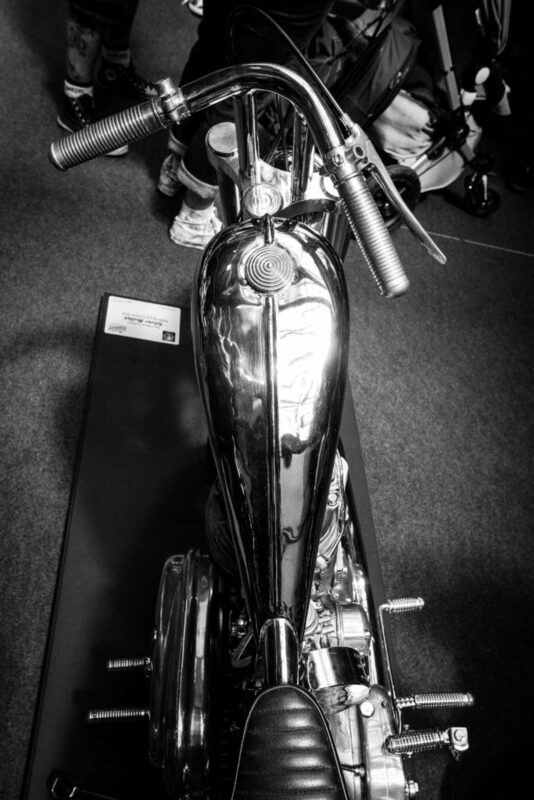 And the heritage of BMW, Ducati or Yamaha is theirs to exploit and re-package as much as it is ours to rip-apart, customise and ride. Both sides of the same coin still battle with challenges as old as the motorcycle itself, between ground clearance, a low centre of gravity and some kind of silencing. 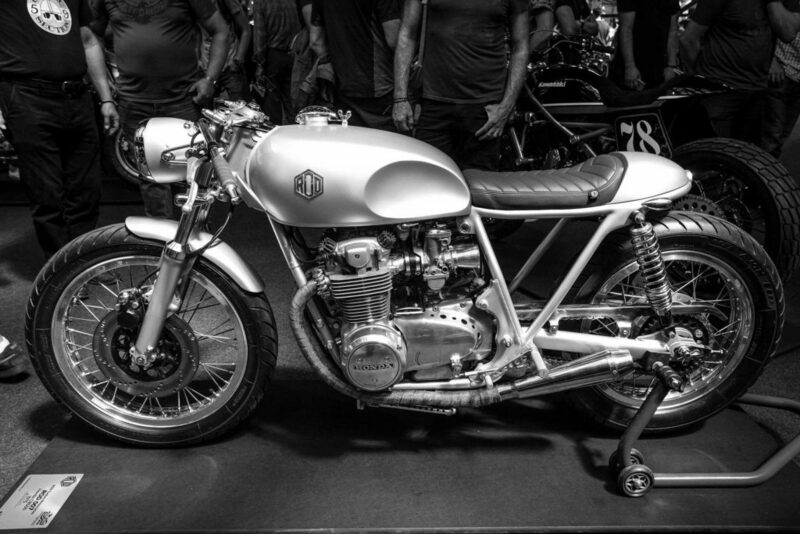 Or between looking fresh enough to turn heads, yet familiar enough to still swim in a tradition, whether that means café racers, choppers, or scramblers. 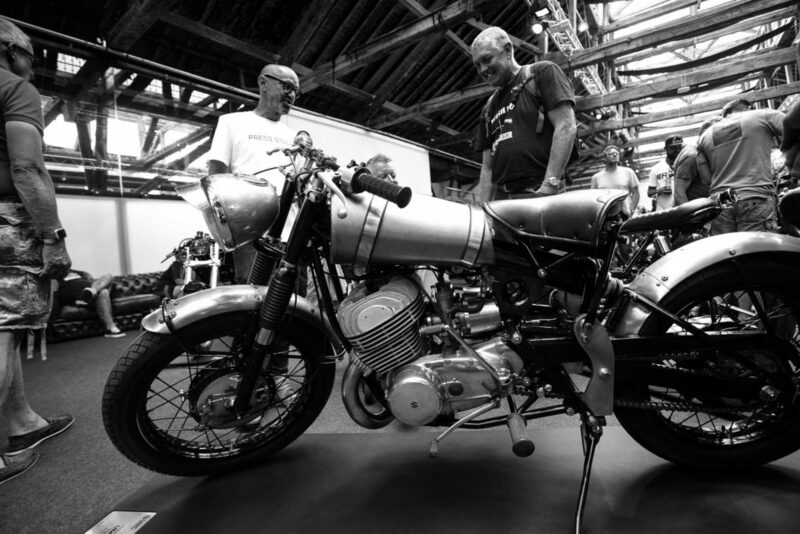 This mad mix of old and new found its apotheosis at the Bike Shed Show – to my eyes at least – in a fully contemporary Triumph twin, lightly customised, atop which sat a distressed late 60s Triumph tank replete with parcel grid. I still can’t decide if it was blunt, clumsy, or even just lazy… or a rather brilliant arranged-marriage of old and new, set up with little or no formal introduction, but forced to live together. It said something. Trends? 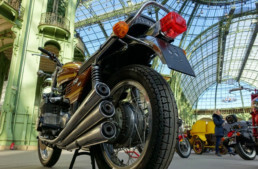 There’s still a clear thirst for inspiration from the classic bobbed and café racer back-catalogues of the postwar years. But singles are calling some builders, with elegant results, and others are looking further back in time for inspiration. 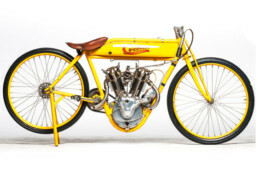 So, coming to a custom builder near you, could well be ultra-wide 1920/30s Stateside handlebar bends and solo saddles – likely appended with a small, flat-tank style gas storage. 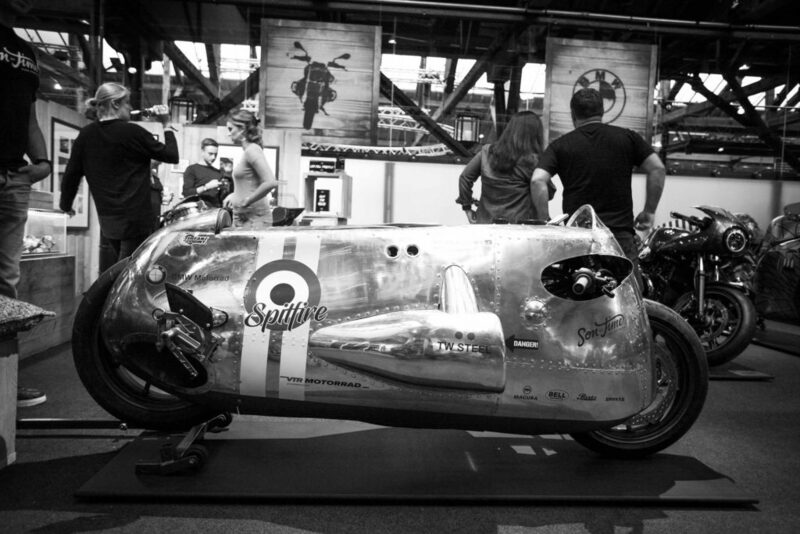 Gunmetal hues fit this pattern perfectly – carrying the resonance of early, bashed-aluminium streamlining fairings – as it’s the palette of many pre-war machines. Mudguards, for so long either missing or minimal, are getting fuller. 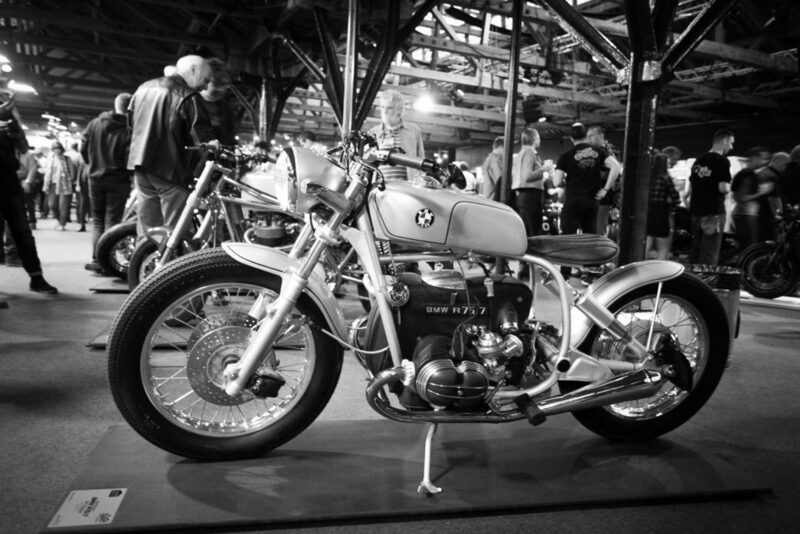 If one bike stood out, it was the Polish built, BMW-based Watkins. 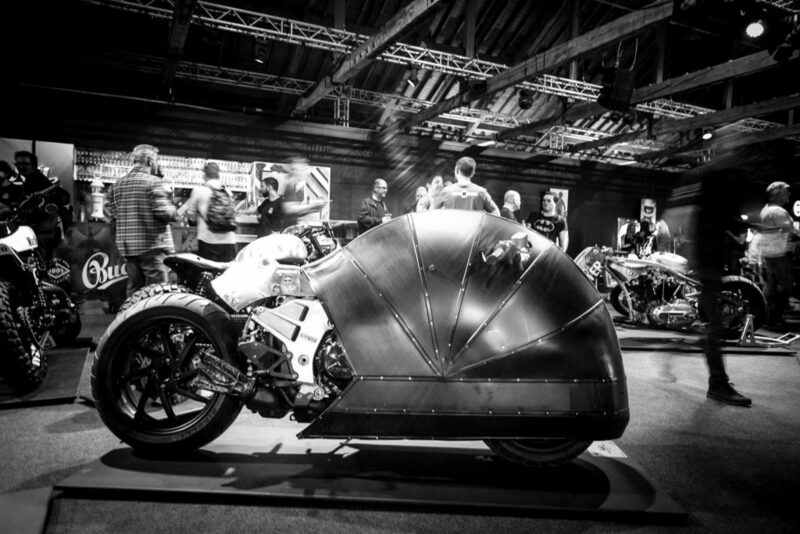 With massive ambition, evident in every detail, this machine stunned onlookers: all the chassis and the suspension components were designed and built by 20-something engineer Jack Watkins. 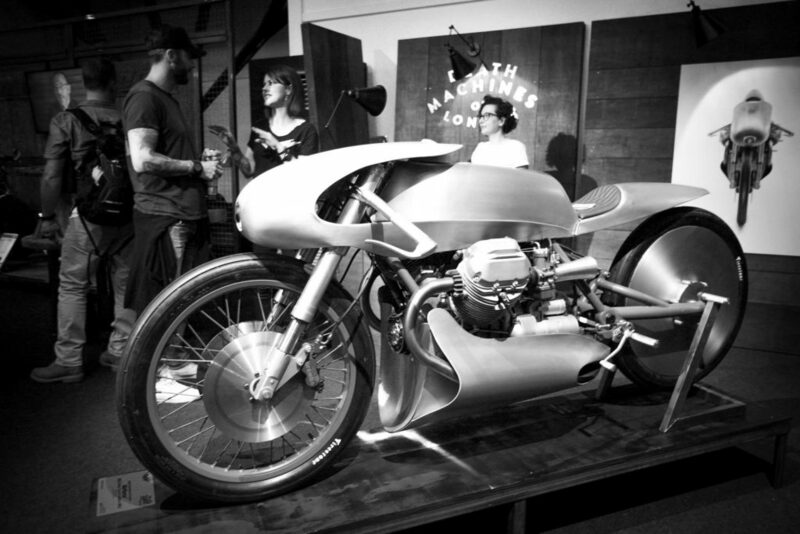 He vanned the bike from Poland, paid for the space himself, and stood there all day talking tech with all-comers. 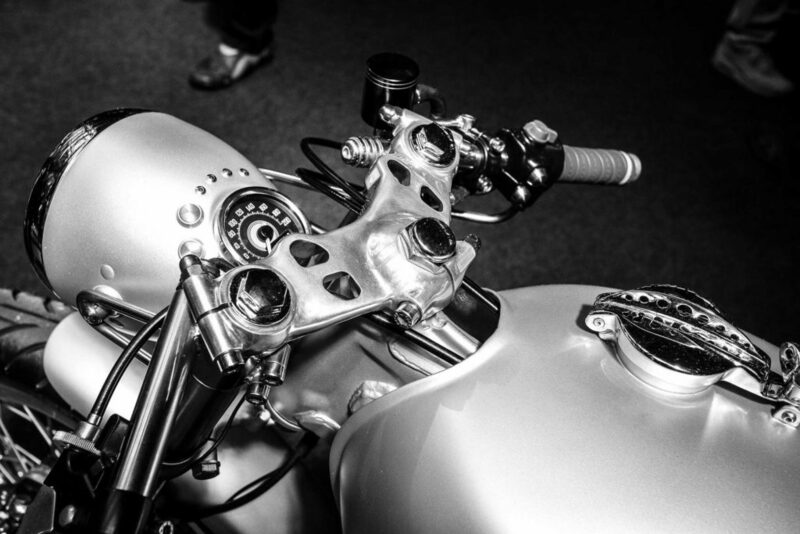 His bike boasted hub centre steering – an elegant self-built steel chassis and a fuel tank under the seat. It looked back to front. It looked kind of wrong, unfinished even, until you peered closely and talked to its creator. 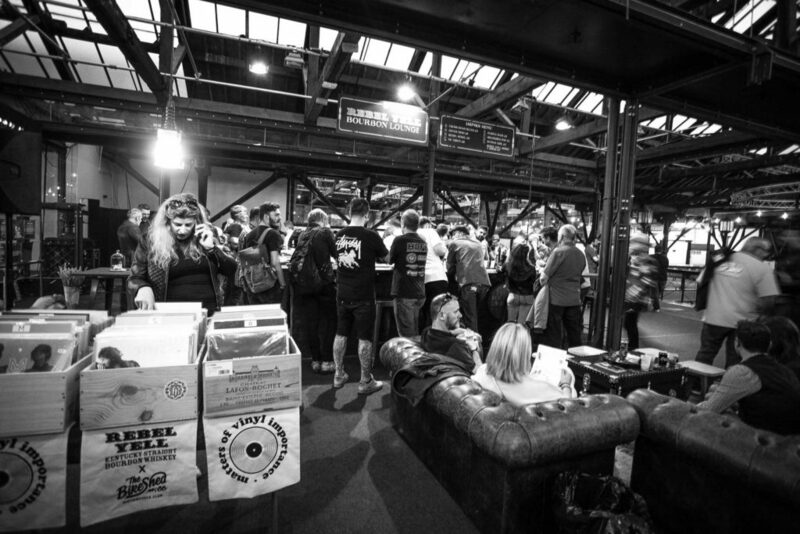 Then a satisfying flood of ideas poured forth. There was no merch; no big corporate backer, no business cards even. Just a bike, and a guy brimming with ideas. 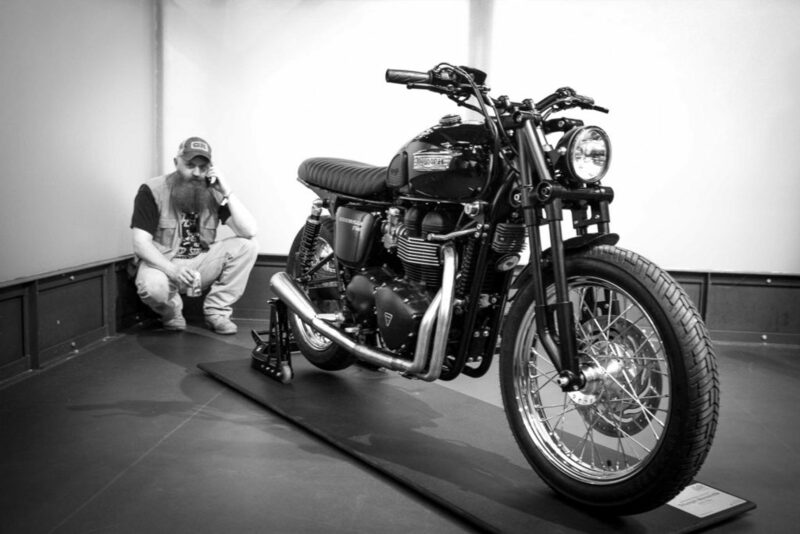 Adam Kay, founder of Untitled Motorcycles, feels the same. 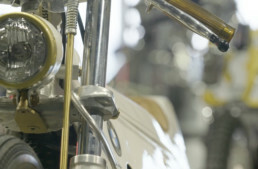 Indeed, his company’s roots go back (through his chief mechanical guru, Rex Martin) to the late 1980s, when pattern parts for British bikes were rubbish, and Rex was one of the few in central London trusted to work on Nortons, Triumphs and Vincents. “What could kill it,” says Adam, “is the Mayor’s Ultra Low Emission Zone plans, which will charge many older bikes £12.50 just to enter London.” That would be a grim irony, when motorcycling has rarely been in such a creative flow, small shops are opening up, and motorcycles have so much to offer a congested city, that much of this could be wiped at the whim of one elected official. 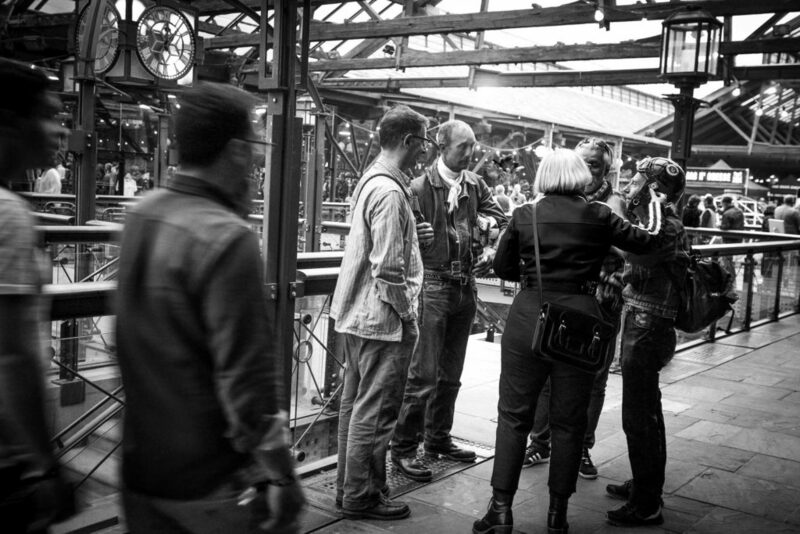 If Mayor Sadiq Khan wants a city of colour and contrasts, which can house artisans working with metal as well as those working with flowers, he should embrace the current high tide of endeavour occurring on the streets of the city he seeks to lead. Not kill it.